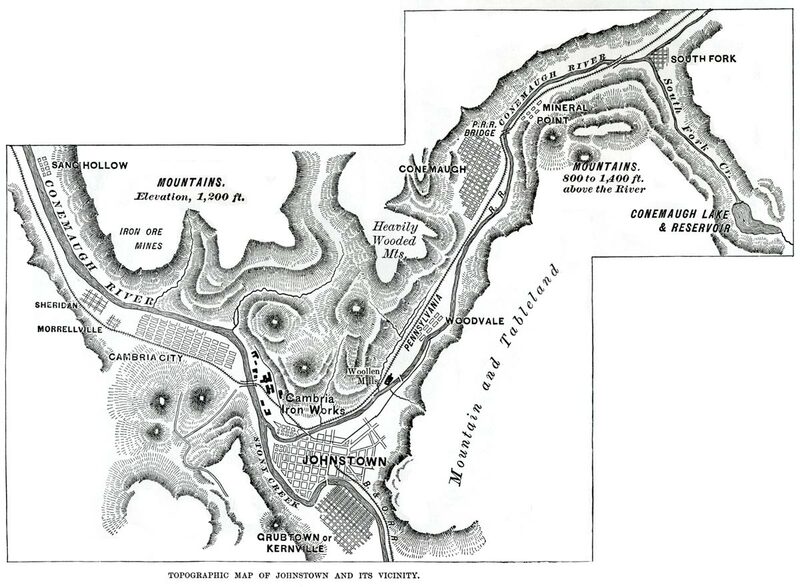 Topographic Map of the Conemaugh Valley, published in June 1889 in Harper's Weekly magazine. Conemaugh Lake in the east was the result of damming South Fork Creek. When the South Fork dam failed on May 31, 1889, the flood wave rushed down the Conemaugh River valley. Click to view a larger image.